Petit's tourniquet, cloth, leather and metal, c 1860s. Tourniquets have been in use since the time of Ancient Greece, and were mainly used when amputating a limb. 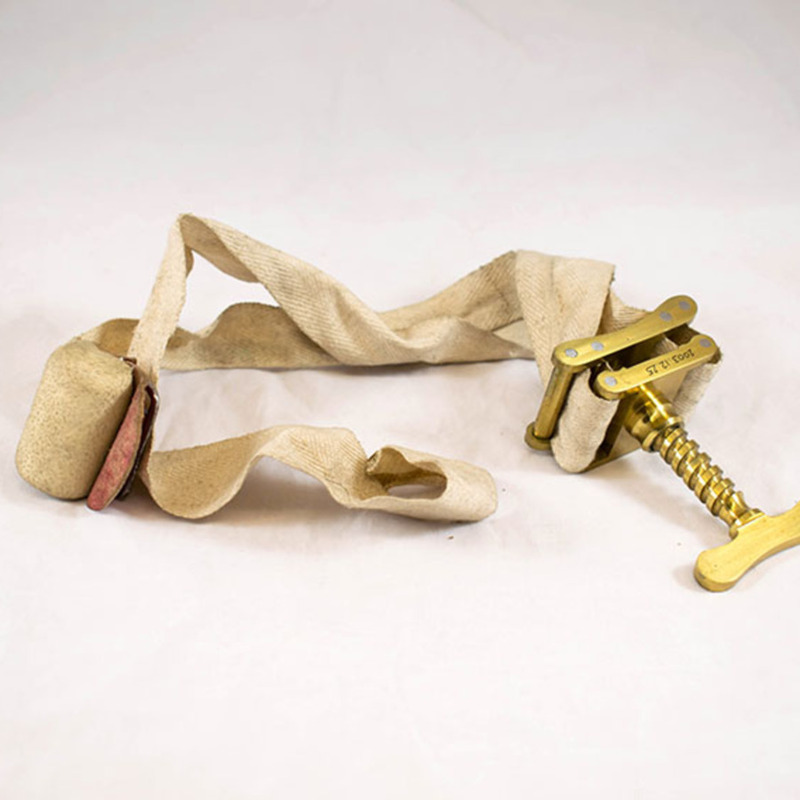 Any other surgical use of the tourniquet was not introduced until the 1800s. The tourniquet was tightened by twisting a rod to which it was attached. It wasn’t until an invention by Jean Louis Petit in 1718 that the mechanism was altered. Instead of tightening the tourniquet band with a rod, the tourniquet could be tightened with a screw. Such a style of tourniquet can be found within the College’s instrument store. 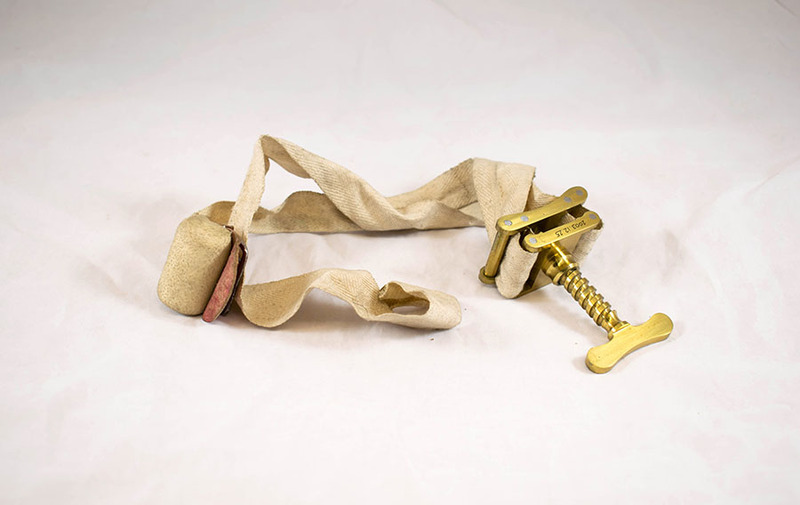 S. Maw & Son, Ltd.; 1860-1979; Health care manufacturer, “Petit-Type Tourniquet,” Heritage, accessed April 24, 2019, https://heritage.rcpsg.ac.uk/items/show/112. Description: Petit's tourniquet, cloth, leather and metal, c 1860s. Tourniquets have been in use since the time of Ancient Greece, and were mainly used when amputating a limb. Any other surgical use of the tourniquet was not introduced until the 1800s. The tourniquet was tightened by twisting a rod to which it was attached. It wasn’t until an invention by Jean Louis Petit in 1718 that the mechanism was altered. Instead of tightening the tourniquet band with a rod, the tourniquet could be tightened with a screw. Such a style of tourniquet can be found within the College’s instrument store.